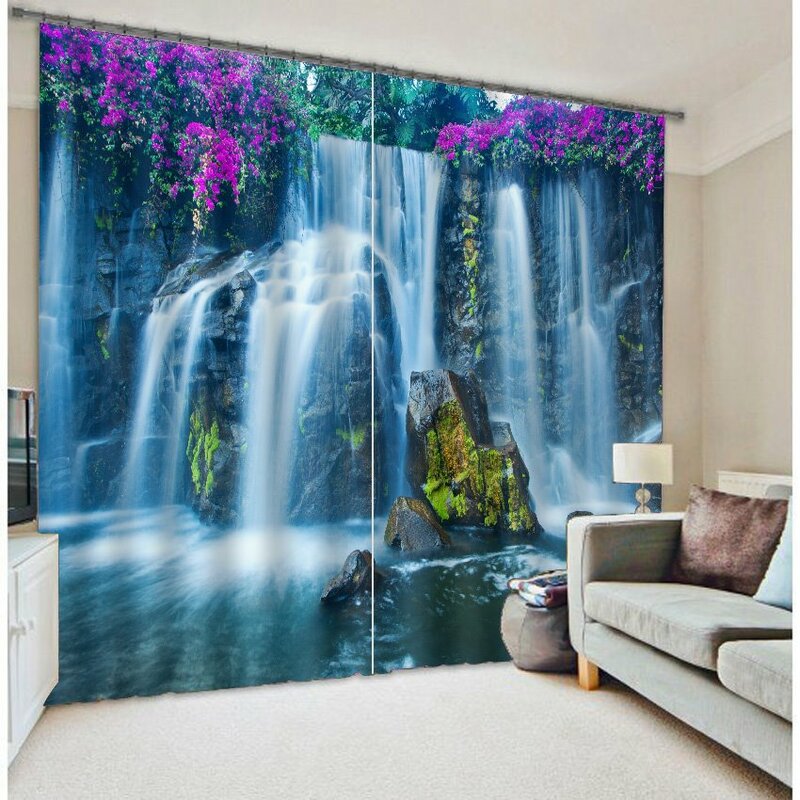 Decor your room with this amazing 3d effect curtain covered by flowing waterfalls and purple flowers that can bring more freshness to your life. 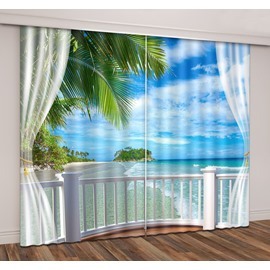 It can be installed on your living room, bedroom, study and balcony and also can prevent strong sunlight and dust-proof for you for its skillful process techniques and high quality materials. · When you wash it, please take them off lightly and careful. · For its high-quality materials and skillful process techniques, hand washable, machine washable. 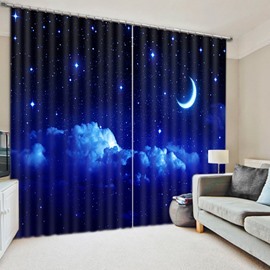 This curtain panel set is beautiful. The picture is very clear. 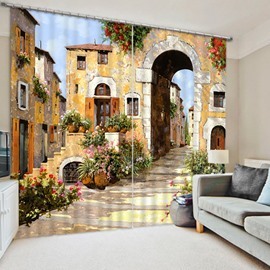 I swear I can see people in the windows with a magnifying glass. I washed them on cold gentle cycle and dried them for 20 minutes on low and they look amazing. 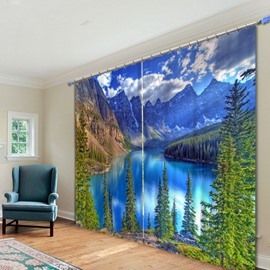 I did sew a 1/2 inch seam across the top so the curtain would sit up just a little off the rod and not be flush on top of the rod. They arrived quickly and well protected. Fabric is silky polyester, a bit shiny. Heavy weight, easy to hang - my husband loved this in our bedroom hung as an alternative to the original closet doors, that were hard to move. 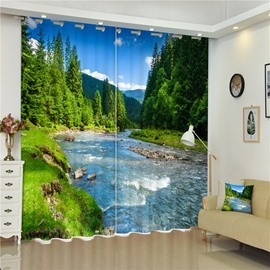 It looks just like the picture ！The waterfall design on this curtain is very pretty, nice colors. 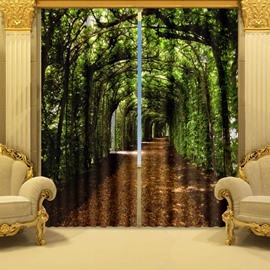 My daughter loves them went perfect with her Paris room. They are made thick and strong actually keeps room dark. They are very long though wish they were a little shorter. 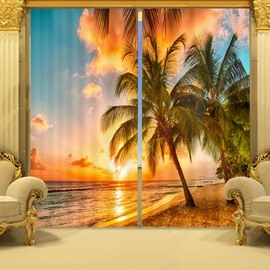 Hi can this be made to fit 118" w x 80 " long?